The term corporate identity refers to an organization’s perceived commercial character. Both internal and external corporate identities should be the same. A corporate identity strategy aims to create a distinctive and autonomous market presence that is highly recognizable. The concept of corporate identity was originally coined in the ‘70s by US advertising consultants. 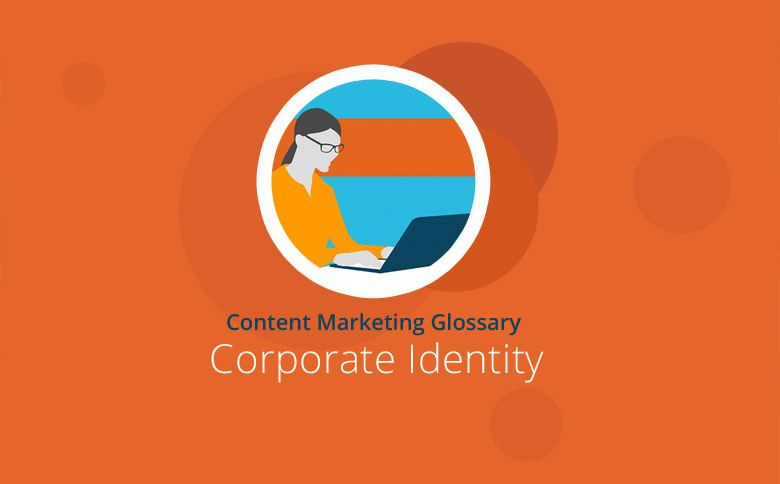 At its core is the idea that a clear identity helps to make a company unique, which also helps to achieve a company’s corporate goals. The corporate identity shapes both the internal and external company image. This development of a company style and personality should be strategically planned to match, and be informed by, the company’s mission statement. The aim is to ensure the organization is consistently presented to the public and to employees. Therefore, all company activities must be coordinated and reconciled to this corporate ideal. This includes the visual identity, organizational behavior, and corporate communications. However, consistent adherence to a corporate identity can often be a major challenge for companies. Coca-Cola and BMW are two examples of a successfully implemented corporate identity strategy. Many companies develop their own corporate identity in order to build trust and also to differentiate themselves from their rivals. An organization will often rely on the support of agencies to implement its corporate identity strategy. A clear identity helps to raise brand impact and awareness in the marketplace. In addition, the corporate identity acts alongside a unified brand identity to strengthen commitment to the company. This, in turn, promotes greater loyalty among both employees and consumers. For example, a unique corporate identity can contribute to the launch of new company products because an existing positive image is highly transferable and will lend extra support to new initiatives. Therefore, a good corporate identity can significantly reduce company costs in general and advertising costs in particular. A corporate identity is a key component of the company’s image. Inside the company, it ensures that staff behave in accordance with a certain set of values which reflect and exemplify the company mission statement. And in a broader sense, the corporate identity is also a cornerstone of a positive corporate culture. Managing a corporate identity requires three tools that must be interlinked, and each has the potential to influence the overall impression of the company. These are corporate design (visual appearance), corporate behavior and corporate communication. To underpin the corporate identity of a company, it is important that these different areas should neither conflict nor send contradictory messages. Corporate identity is often equated with corporate design. However, in reality this is just one aspect of a corporate identity – namely the company’s visual image. So, corporate design is the most immediately obvious part of the corporate identity. Elements of corporate design include the company logo, its visual corporate presence at trade fairs, the design of the company website, and the prominent design features of company products and packaging. The importance of corporate behavior in terms of its impact upon corporate identity should never be underestimated. This also includes the conduct of a company towards all those who could be regarded as stakeholders. Apart from external behavior affecting customers, media, and the public, corporate behavior can also be shaped by internal matters. These include, for example, the fair treatment of employees and the behavior and leadership style of the management team. Company employees in turn can also have a major influence on corporate behavior, based on the values they choose to adopt. A consistent language and communication style are also important components of a corporate identity. Corporate communication concerns common commercial activities such as press releases and advertising slogans as well as all of the various activities that could be considered internal communications, including communications with and between employees, the staff magazine, etc. A corporate identity gives a company a clear business profile and defines its standards of service and working practices. Corporate identity embraces all kinds of company activities – from the style and language used in customer communications right up to the leadership style and behavior of the management team. Corporate identity can be further broken down into corporate design, corporate behavior and corporate communication. A consistent deployment of corporate identity is not just limited to the representation of the company to the wider public but also encompasses internal relationships within the company workforce. The aim of a corporate identity is to make a company distinctive and better able to clearly differentiate itself from competitors. The concept of a corporate identity must be well planned and strategically implemented.